Offering you a complete choice of products which include milk pouch packing machine double head, milk storage tanks, milk pasteurizer, milk cream separator machine and weigh bowl. Pouch Length 10, 4" TO 10 "
Keeping in mind the diversified needs of our valuable clients we bring forward the qualitative range of FFS Machine for Milk. Offered machine is balanced dynamically and allows trouble free working. The offered machines are manufactured by experts utilizing finest grade material and contemporary techniques as per the set industry standards. We offer these machines to our customers at competitive rates in a promised time period. We manufacture insulated milk storage & Panner storage tanks to store the Panner and milk at 4C for long durations. 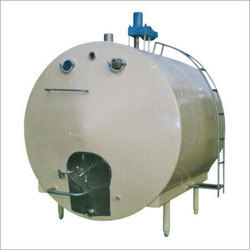 The tank is provided with insulation in the outer jacket to prevent the temperature dropping. The tank can also be provided with slow speed agigator for regular mixing of the milk. 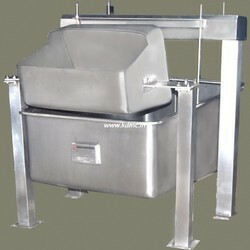 Enriched with vast industrial experience, our organization is able to offer Milk Pasteurizer. 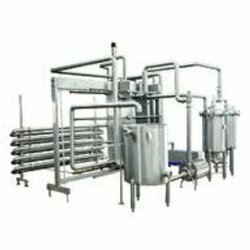 The offered milk pasteurizers are used for pasteurization of milk and cream in dairy & food industries. We are giving these milk pasteurizers from us on number of specifications as per customer’s requirements. Furthermore, these milk pasteurizers are properly inspected on numerous quality parameters for assuring its excellence at customer’s end. We have been a renowned name to offer our clients a unique grade of Milk Cream Separator Machine. The offered cream separator machine is developed expertly as per the prevailing market norms using high quality material and contemporary techniques. This cream separator machine is inspected on diverse parameters in order to supply flawless range. 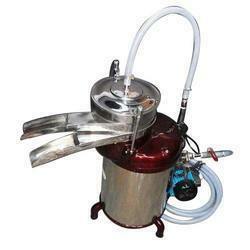 Offered cream separator machine is provided in varied of specifications to choose from. Backed by our experienced professionals in this domain, we have been able to bring forward a qualitative range of Weigh Bowl. This weigh bowl is provided in numerous specifications as per the variegated demand of customers. The given weigh bowl is provided in safe temper proof packaging options so as to avoid physical damage while transit. Our weigh bowl is well developed from the superb quality components and advanced techniques in accordance with industry norms. Looking for Milk Dairy Equipments ?